This blog post discusses Phase II of transforming businesses for improved growth and operating performance. Want to read about Phase I? Click here. Phase II is a three-part guided process of successive refinement of the strategy and actions required to actually transform the business. This step ties together the strategy, the operational actions needed to execute the strategy, employee and executive incentives to reinforce the completion of the actions, and creates an integrated program for transforming businesses. What is the Company’s Aspirational Goal? The business transformation phase begins with defining the Transformational Goal (the aspirational goals of the business as viewed through fundamental operational metrics). 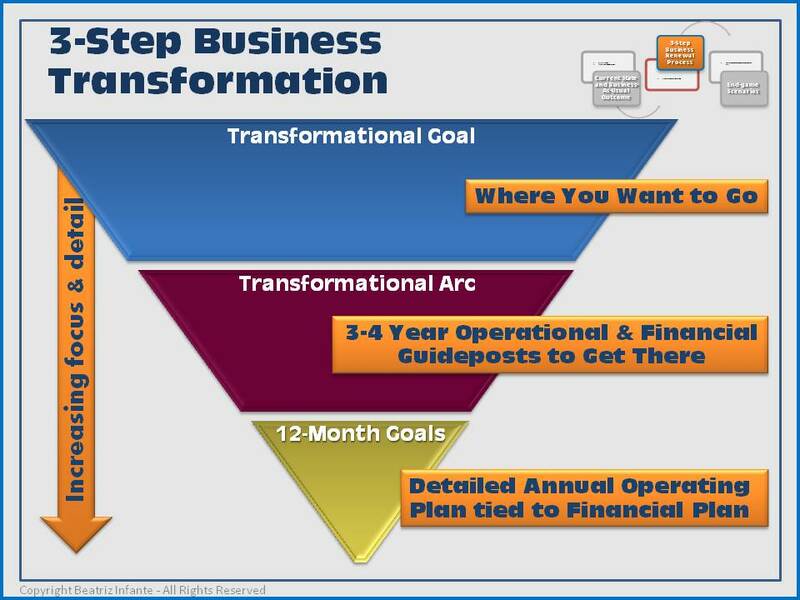 Once the Transformational Goal is defined, the Transformational Arc provides structure for getting from the Current State to the Transformational Goal by establishing a multi-year roadmap of annual operational and financial guideposts to achieve the Transformational Goal. The final step consists of a very specific and detailed set of quarterly 12-Month Goals tied to executive MBO’s and the company’s financial plan. Following the three steps outlined above creates a focused goal- and metrics-driven operational transformation in which the goals of every employee are directly tied to the success of the company’s goals. When the company succeeds in its goals, employees succeed, and when employees succeed in their goals, the company succeeds — alignment top to bottom and bottom to top. Next blog post in this series Click here. When facing these strategic inflection points, expert business consulting professionals can make a difference between failure and success. 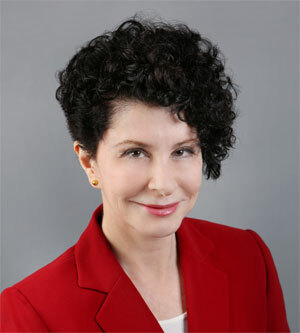 The BusinessExcelleration team is there to support YOU with a solution customized to your particular situation.